Ling & Ting are twins. They like to be silly. They like to tell jokes. Most of all, they like to laugh together. 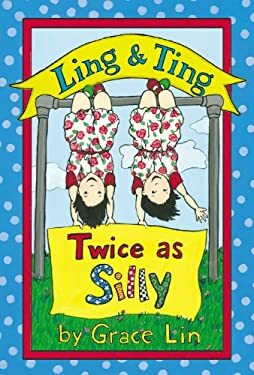 Laugh with Ling & Ting The beloved twins from the Geisel Honor book "Ling & Ting: Not Exactly the Same " and "Ling & Ting Share a Birthday" are back to share their favorite funny stories with beginning readers. This collection of six laugh-out-loud stories is sure to tickle the funny bone of fans and new readers alike.